What is a Business Process Analyst? HomeConsultingWhat Is A Business Process Analyst? Business, across several industries, is transforming at such a rapid rate that many key roles and positions are developing that have never been considered before. Many business leaders have yet to embrace the potential of outsourcing or the value of such roles as the business process analyst, but it is essential to wise up to such opportunities to develop or risk being left in the dust. Here at ReganStein, we value skills. High level, professional skills and experience are what makes our team stand out from the crowd – and it is this that guarantees your business a positive outcome when you work with us. Whether you’re looking for a Business Process Analyst or a Project Manager, finding the skills you need for the period that you need them is a surefire way to get the best of both worlds and stay ahead in business today. 1. Assume responsibility. The Business Process Analyst will take responsibility for creating, maintaining and improving business processes – in a specific area or throughout the company. 2. Enable effective communication. It is essential for a business process analyst to posses the ability to engage with team members at every level of the organisation. 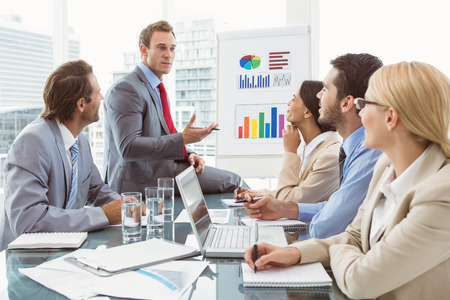 Good communication skills are vital, along with good management skills that can bring diverse groups of people together to create new or re-vamped processes that will benefit everyone. 3. Provides specialist skills. A good Business Process Analyst uses a variety of tools and skills to create solutions that work on a whole business level as well as for the individual. Highly specialised professionals with the skills you need can provide their expertise for a fixed duration when you outsource roles such as this. 4. Business mapping. Business process mapping is used to find process improvement opportunities and creative solutions for problems solving, analysing the interactions between business value drivers and costs. 5. Uses appropriate tools. A good BPA will be experienced in the many useful and efficient tools designed to make business processing easier. User collaboration and workflow simulation are useful features, and most professionals will prioritise tools that support BPMN (Business Process Model and Notation), UML (Unified Modeling Language) and a user friendly graphical notation provision. Do You Need An Expert Professional In Ireland? Does your business have the expertise it needs for growth? An experienced professional, working on a flexible basis, could help you to drive projects forward or develop the infrastructure that will carry your business into the future. If you would like to work with a specialist professional on a short-term basis, talk to us at ReganStein to see how we can help. Would you like to join our team? If you have a unique skill set and more than ten years experience in your field, you could join our team and discover a career that enables you to enjoy a fulfilling lifestyle. Just contact us at ReganStein on [email protected] to find out more about the opportunities we offer.